Ok friends hold up! Before we get a sentence further into this post, you need to stop what you’re doing and go check out the Shopbop friends and family sale!!! The ENTIRE site is 25% off with the code INTHEFAM25. That’s like… Tear-inducingly amazing. So go find some pretty things on crazy sale and then tell me what you got in the comments! 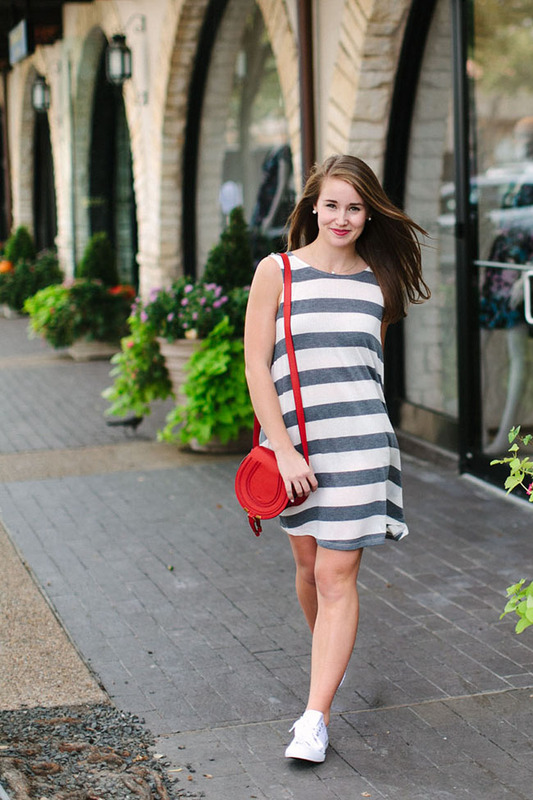 I threw it on with a pair of white converse, the shoe that somehow goes with everything (which I’m just now seeing is how the dress is styled in the product photo… great minds…) and a pop of color in my cross body for an everyday look! For this dress specifically, I wore skin-colors underneath since the white is a wee bit see-through. 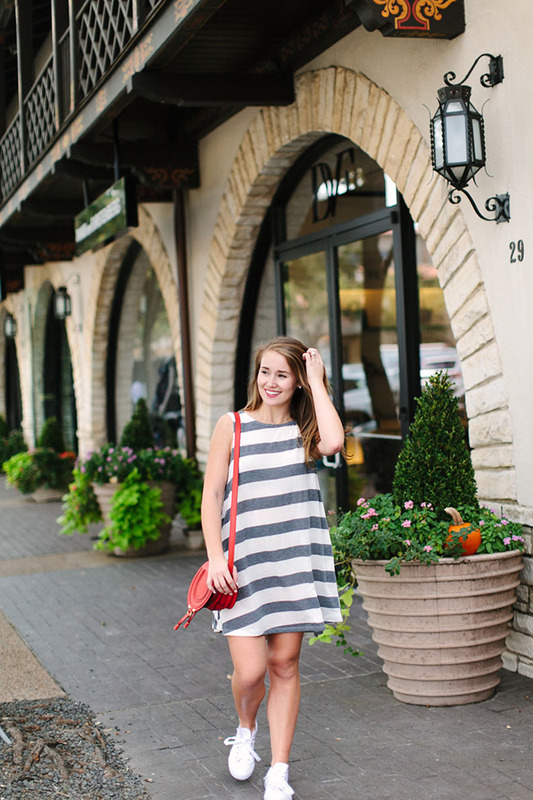 You’ll find some of my other favorite fall swing dresses here, here and here! Trust me, it’s too cozy not to own. I’m totally considering my swing dresses “sweats” this fall too! Love the way you styled this one! Tent dresses are so fun!! 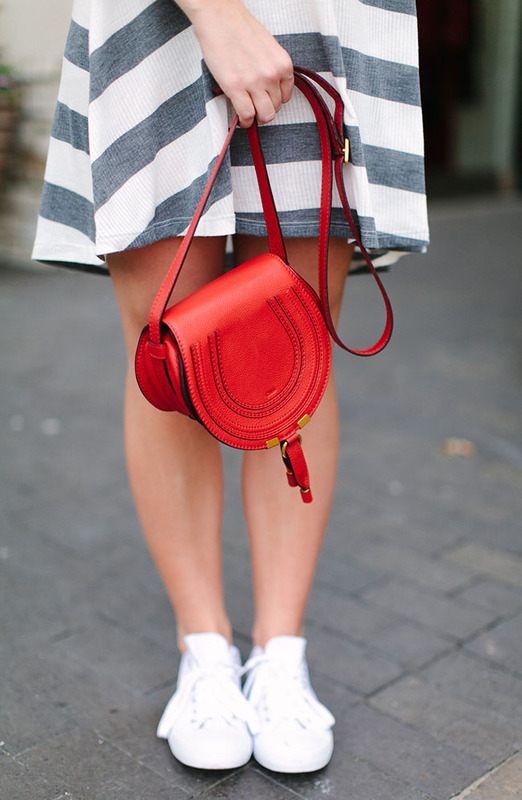 Love it with that bag! Gorgeous dress and bag! This look is so cute! I LOVE that you paired this with converse! That bag is so amazing! I love it so much! 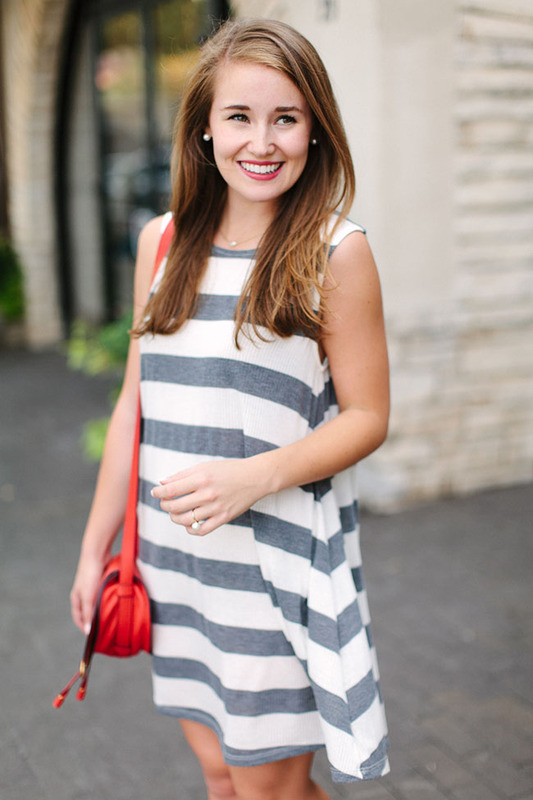 Lovely easy, breezy look too! Very much an outfit I would wear. Stripes, runners and comfortable! Love the bag!